Military Emphasis Week, Nov. 7-14, is a celebration of men and women who served or are currently serving in the U.S. military. Throughout the week, special events will be held to recognize and honor veterans and current service members in the Liberty and Lynchburg communities. The Veterans Center Open House, which will be held Wednesday, Nov. 7, from 9:30 a.m. to 2:30 p.m., will give service members and veteran students the opportunity to learn about the resources available on campus. This event will be held in Veterans Center on the third floor of the Montview Student Union. The Military Appreciation hockey game will take place Friday, Nov. 9, at 7 p.m. at the LaHaye Ice Center. A pre-game ceremony at 6:45 p.m. will honor service members and veterans in attendance. Several activities involving military members will be held in between the periods of the hockey game. All service members and veterans can enter the hockey game for free by emailing their student ID and number of tickets needed to militaryoutreach@liberty.edu to reserve tickets. The Valley View Mike Donahue Memorial Five Miler, put on by Outdoor Recreation and the military affairs department, is scheduled for Nov. 10. The race begins at 9 a.m., and a pre-race ceremony is slated for 8:45 a.m. This race is held in memory of Maj. Mike Donahue, who was an assistant professor of military science for Liberty’s Army ROTC program. Donahue was killed while on duty in a Taliban attack on Sept. 16, 2014, at a U.S. military base outside Kabul, Afghanistan. The five-mile race will start at the Hydaway Outdoor Recreation Center. “Liberty is blessed to have known this hero and will long remember the legacy that he left behind,” Foutz said. The second annual Veterans Day Parade is on Saturday, Nov. 10, at 11 a.m. This event, hosted by the Lynchburg Area Veterans Council, hopes to engage the Liberty and Lynchburg communities in recognizing and honoring the lives of local veterans. The parade will take place on the university’s campus. A military focused Convo Select will also be held Monday, Nov. 12, at 10:30 a.m. and will feature a military speaker that is yet to be announced. The Veterans Appreciation Reception will be held in the Hancock Welcome Center Monday, Nov. 12, at 11:45 a.m., directly following Convo Select. The reception will serve food and is open to Liberty University veteran faculty, staff and students. 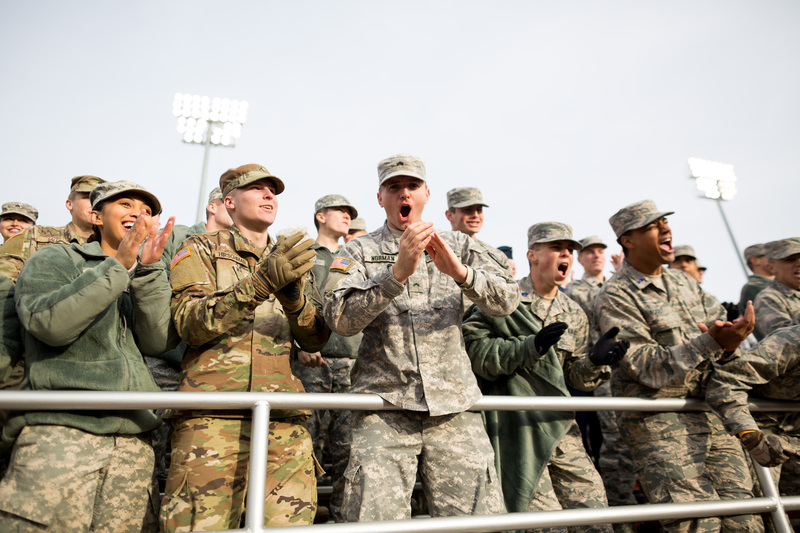 Military Appreciation Convocation takes place Wednesday Nov. 14 at 10:30 a.m. Military service members will be recognized during the convocation along with the playing of patriotic music, a message from a special military speaker and a salute to the armed forces. To wrap up the week, an event called #HonorThem Night of Gratitude will be held Nov. 14 at 5:30 p.m. in the Hancock Welcome Center. “We have received stories from the entire Liberty community to recognize the veterans in the lives of our students, faculty and staff, (who) we wish to recognize on this day,” Foutz said. This night will showcase people’s personal testimonies of gratitude to service members who have impacted their lives. Stories and videos will be shared throughout the event and via social media during the remainder of the fall semester. According to Foutz, stories will continue to be accepted through Nov. 7.